Book Review: Has God Only One Blessing? Has God Only One Blessing? 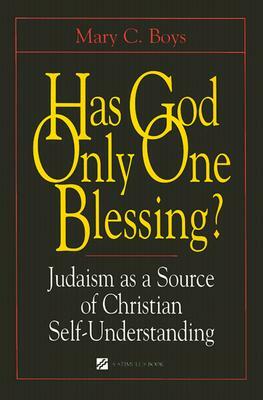 Judaism as a Source of Christian Self-Understanding by Mary C. Boys, A Stimulus Book by Paulist Press, 2000, 393 pp. This is another book I am reading in preparation for my pilgrimage to the Holy Land with the Macedonian Ministries program. Has God Only One Blessing? begins with the metaphor of Jacob and Esau. In the original story, their father Isaac blesses Jacob instead of Esau, in spite of birth order, and then there is no blessing left for Esau. Mary C. Boys uses this story as a metaphor for much that has gone awry in Christian self-understanding about our relationship with Judaism. The book makes a case that is simultaneously biblical, historical and practical in its critique of Christian concepts of supersessionism. The book carefully argues against the idea that Christianity fulfilled or transcended Judaism to become God’s favorite faith, that Judaism is part of an “old” covenant that has been superceded. Boys begins with a series of short parables that show how harmful these ideas are to contemporary Jewish-Christian relations. These parables serve to make the reader uncomfortable with the idea of supersessionism in the context of real relationships with partners in the Jewish faith. The parables win the argument that supersessionist theology is arrogant, inappropriate and not an accurate reflection of most Christians desired relationship to Jews and Judaism. Boys then proceeds to outline a new understanding of the relationship between Judaism and Christianity. She begins where the idea began: with the origins of Christianity. Boys outlines a detailed picture of life in first-century Palestine, and contextualizes the Gospel arguments against Pharisees, temple authorities and “the Jews” as an internal struggle within various Jewish renewal movements. After tracing this history of separation, the theology clung to Christianity and became part of the culture of the early church. What began as a means of self-definition apart from a historic, well-established tradition turned into a dogmatic prejudice and justification for violence as Christianity grew into an empire. The history of anti-Semitism that allowed for the Shoah had its roots in centuries of violence against Jews, and in this ugly theology. Deconstruction is insufficient. It is not enough to elucidate the anti-Jewish and supersessionist theology that still clings to Christianity. We must also offer a new narrative to replace it. Boys does just that—beginning with a brief retelling of Christian origins, and continuing on throughout the various chapters. She shows the reader all the ways in which supersessionist ideas haunt the scriptures, theology, liturgy, and then offers alternative understandings for use in teaching, preaching, worship and theology. I especially appreciated Boys’ attention to “Re-Educating Ecclesia” (the title of the final chapter), understanding that scholarship and dialogue must move into the words and practices of the church in order to overcome the dangers of supersessionism. It is not enough to enter into interfaith conversation and partnership with Judaism. We as Christians must recognize and repent for the harmful effects of our theological misunderstandings, and change our thinking and our acting. The harmful history of supersessionist theology is not new to me, but I have never read such a concise, directed, theological and practical assessment of it. Boys’ book lays out, in brief, both the harmful history and the way forward. Clearly, the God who created all the universe has more than one blessing to give, more than one path to worship the Spirit, more than one faith to recognize. Nearly two years ago, one of the members of my church brought me an old book she found while cleaning out the church library in preparation for a major construction project. She gave it to me with a wry smile. “I thought you’d be amused by this,” she said, and handed me a copy of A Preacher’s Temptations, by James H. Blackmore, copyright 1966. At first I chuckled too, expecting an antiquated list from another era, like a ladies’ book of etiquette. Instead, I was surprised and convicted by the accuracy of the preacher’s temptations Blackmore described, and struck by the timelessness of his list. Each chapter identifies a particular temptation, and Blackmore explains what he means and what that temptation looks like. Then, the chapter ends with a prayer for deliverance from that particular temptation. As much as I wanted to enjoy a good laugh at old-fashioned ideas of ministry, I couldn’t even muster much of a smirk once I started reading Blackmore’s list. To paste labels on people. The labels may have changed, but their power to shut down relationship has not. To be jealous of the other fellow. Who, us clergy? Jealous of another’s success in ministry? Surely not! Except that all of us are, and rarely admit it. To love “the uppermost seats.” I had to read the chapter to figure this one out, but it’s about ambition—about always looking for a bigger church, more important title, or higher status. Yeah, that’s always a big challenge to clergy egos. To assume a superior air. Lord, spare us from arrogance! To run from truth. Nearly every week, it takes courage to preach the truth of the gospel. It is always tempting to avoid afflicting the comfortable, and we all succumb to an easy message from time to time. To bargain with God. This is a temptation for all disciples, but sometimes we clergy think God owes us a thing or two, for all our long hours and faithful service. Reality check: God doesn’t. To be partial. We all know that there are some people we find it easier to love than others. Blackmore goes beyond that, warning that pastors must not spend all their time with “the sick, the troubled, the old and the lonely… To keep a balanced outlook the pastor needs to associate with the healthy, the happy, the young and the active as well.” (21) This includes children. To neglect our body. Apparently, even in 1966 clergy suffered from high blood pressure, obesity, overeating, lack of exercise, and lack of rest. While we talk about this more today, we still fall prey to the same problems. To run “in all directions at the same time.” Guilty as charged. To become impatient. With ourselves, with others, with God. To neglect our own family. Apparently, this is not new to women in ministry or to our generation. To think it all depends on us. This is a disaster to us, and to the church. To neglect spiritual exercises. Guilty again. To fumble the gospel. “The urgency of our task is that God has something to say to the people of our day, and we are called to say it.” (43) This is a weighty one. To fail to get the good news for ourselves. God’s grace is for us, too. Forgive us when we forget it. To speak in an unknown tongue. Our sermons and God’s message are meaningless if they cannot be understood. To keep up with the Joneses. Deliver me from envy, O Giver of All. To act as if we own the church. Lord, forgive me when I talk about “my” church instead of yours. To forget our calling. “Our calling is not something we can turn on and off; our calling and ordination make us ministers of the Lord Jesus Christ—not just for certain hours or places, but for ever and for all places.” (54-55) This is a tough one, but it’s true. We cannot be one person at church and another person outside it—we are always living in faith. To be nettled by taunts. “Nettled” is just the right word, isn’t it? Critics’ words prick at us and stick under our skin, leaving us irritated and unsettled. To give forth uncertain sounds. While I might have phrased it differently (this sounds vaguely like bodily noises), the temptation to equivocate in our messages is real. To undertake too much. Oh dear. To neglect the work of an evangelist. Ever get too busy managing the church to pay attention to those outside it? Yeah, me too. To go too far ahead of our people. A pastor is a shepherd—we are supposed to be leading the sheep, not leaving them behind. To be lazy. I’m glad Facebook doesn’t report how much time I spend there. To be too severe. The reverse of #6 is equally tempting. To be proud. No explanation necessary. To cease to pray for the people. Humbling, and accurate. To despise ourselves. It’s not about self-esteem, it’s about knowing that God works through us as we are, not as we think we ought to be. To ride on the authority of others. It’s about plagiarism, y’all. To hold our peace. Some of us struggle to hold our tongue, others to speak up for the right if it might cause conflict. To assume we are exempted from evil. Unfortunately, our ordination doesn’t free us from “petty meannesses and small jealousies” (91) or from the big ones. “To whine.” Apparently, Blackmore has attended some of the same clergy gatherings I have. To “grow weary in well-doing.” Guilty again. To feel that we are no longer needed. Like #6 and #31, the temptation exists at both extremes: to think it all depends on us (#16) and to think that what we do doesn’t matter at all. James H. Blackmore, thank you for this open, honest work that stands the test of time and crosses generations of pastoral experience. The woman who gave me the book told me to pass it on to the Goodwill pile, but I’m holding on to it. Much in ministry has changed in the last 50 years, but these temptations remain. Deliver me, O Lord, from temptation. 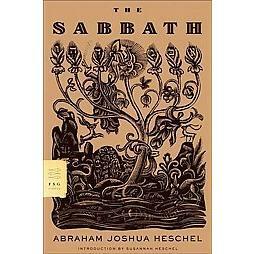 The Sabbath by Abraham Joshua Heschel, Farrar, Strauss & Giroux, 1951, 118 pp. I can’t believe it’s taken me so long to read this book. After adding it to my list nearly 10 year ago, then receiving a copy as a gift from a dear friend when I left Boston six years ago, it was the Macedonian Ministries program that finally got me to actually sit down and read this classic work on the Sabbath. What a gem! Heschel’s style is part mystic, part philosopher, part rabbi. This is a book that begs to be read and reread, and I am certain that each and every reading would produce new and deeper insights. On my first reading, I felt certain that there were many levels of meaning that would only reveal themselves on subsequent readings. Heschel begins by defining the difference between the realm of space and the realm of time. The realm of space is the world of “thing-ness,” the place where we work to control the world and the things in it, to acquire and produce, to build and occupy and transform. It is the world of six days of the week, and it dominates our senses, even our theology, as we try to construction notions of God as a “thing” in a place, with a form, taking up space. The Bible, Heschel argues, is far more concerned with time than with space. Judaism is about holiness in time, beginning with the celebration of God’s deeds and historic acts and culminating in the Sabbath. The practice of faith, he says, is an “architecture of time,” with the Sabbath as a “palace in time,” created for our luxury with God. I have read the work of many of Heschel’s disciples who have written on the Sabbath (Tilden Edwards, Wayne Muller, Marva J. Dawn, Donna Schaper, Dorothy Bass). I appreciated each of those works for their practicality and insight about why sabbath-keeping matters to the spiritual life. But none of them had the mysticism of Heschel, the cosmic sense that the Sabbath fundamentally changes our relationship to the world and to God. I look forward to reading this book again and again, and to my sabbatical time this winter, when I hope to “grow my soul” by spending time away from work and closer to God. 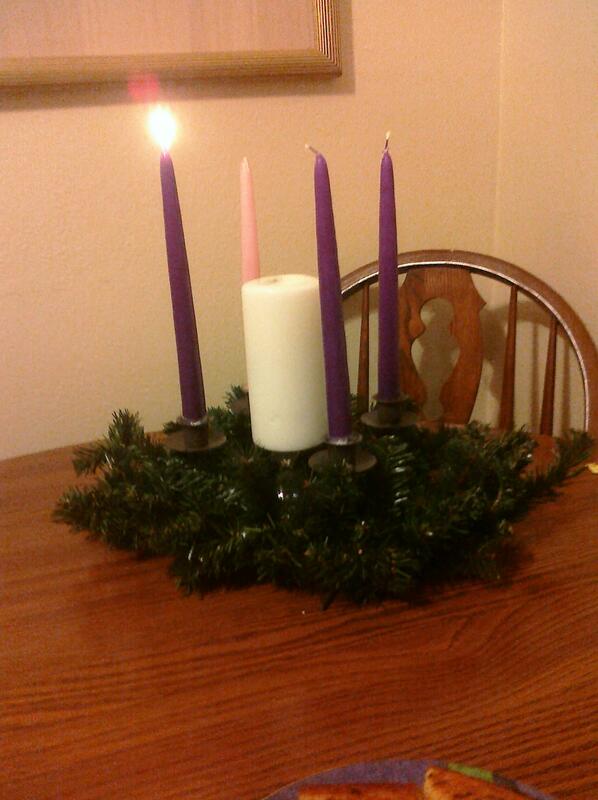 B and I made our own Advent wreath this year, to sit on the kitchen table. The kitchen table is regularly the dumping ground for junk mail, school artwork, receipts, stray gloves and not-yet-put-away purchases. Its proximity to the back door makes it everyone’s first stop and first view upon entering the house. Since the wreath has taken central place, though, it has seemed easier and more important to keep the table clear of unnecessary junk. It’s amazingly refreshing to my spirit to enter the house and see the Advent wreath, rather than a pile of mess that needs to be put away. Last week, we lit the first candle and I talked with B about hope. Tonight, we lit the second candle and talked about peace. Even as we talked about the meaning of peace—ending war, getting along with friends, making sure everyone has enough—we could see our hope candle struggling to stay lit. Smoke was pouring from it, but the flame was barely an ember on the wick. Watching the light struggle to survive, I contemplated how hard it often is for hope itself to stay strong against the darkness. I reached for my camera to capture a picture. Before I could get the lens cap off, the candle suddenly exploded into a full flame of light, bigger and brighter than the peace candle next to it. Wax was pouring down the side of the candle, spilling over the holder. The flame had been dampened by all the old wax around the wick, unable to catch enough air to fully shine. Letting go of the junk released the light of hope again. It was just like my kitchen table. Removing the junk to focus on the Advent wreath set me free to focus on the hope and peace of the season. Even more, it is just like my soul. Hope gets stifled by all sorts of junk—old hurts, built-up anxieties, piled-on worries, and overwhelming circumstances that make us feel like we just can’t get any air. Yet the tiniest flame of hope, even the one that looks like it’s too small to survive, can be enough to throw off all that mess and explode into light. 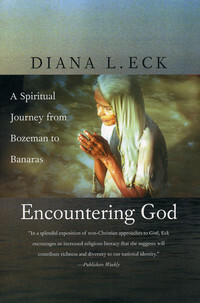 Encountering God: A Spiritual Journey from Bozeman to Banaras, by Diana L. Eck, Beacon Press, 1993, 259 pp. This is another book for my Macedonian Ministries group that will be journeying to the Holy Land this winter. I doubt I would have ever chosen this book for myself, but I am so glad to have read it. What a beautiful perspective on Hinduism and Christianity, the personal spiritual impact of interfaith dialogue, and the importance of religious pluralism in our shrinking world. Diana Eck is widely known as a leading expert on interfaith relationships here in the United States, and her work as the head of The Pluralism Project has given her a reputation as the leading authority on the diversity of religious life in America. I loved A New Religious America when I read it several years ago. Encountering God is a very different sort of book. Rather than a catalog of statistics and anecdotes, it is the spiritual memoir of a scholar. Eck tells her own story of finding God in her private life of faith, and in her professional life as a scholar. She weaves together the ways she found God in the typical places (her home church in Bozeman, Montana; her family’s immigrant story; her church at Harvard) and the unusual places (at the side of the Ganges River; beside a funeral pyre in Banaras, India; in a Hindu temple). Each of these personal stories of encountering God is accompanied by a deep and thorough analysis that shows Eck’s scholarly side. The book makes a compelling case for head and heart about the importance of interfaith conversation and the possibility of encountering the Holy in other faiths. Reading this book showed me how little depth I have in my own thinking about interfaith relationships. Long ago, I tossed out the Christian exclusivist theology, and I replaced it with a general openness to partnership with people of all faiths and a conviction that God can work through other faiths than mine. Although I have engaged in a lot of interfaith work since then, I have not really thought deeply about the impact that engaging other faiths might have on my own relationship with God. 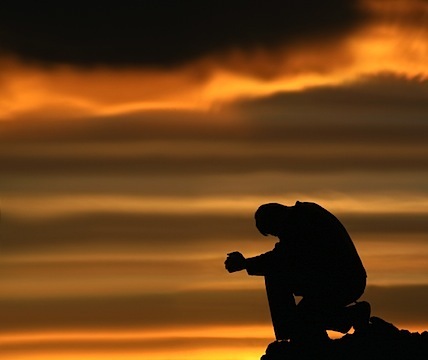 What can I learn, if I am open, about God from people of other faiths? For example, Eck raises a question about the language we use to talk about the Divine among people of different faith traditions. In other words, rather than talking about how my God is similiar to (or different from) your God, we can talk about how you and I understand the same Reality at the core of the universe. I had never considered the implications of that language of “my God and your God,” but I will now think differently about what I am doing when I engage in a faith conversation with someone in another tradition. Eck guides the way for a faithful pilgrim of one tradition to earnestly explore the wisdom of another. She shows, through a detailed explanation of what pluralism is and isn’t, how one can learn deep insight into meditation from the Eastern traditions, while honoring their integrity and one’s own. In the final chapter, she talks about the critical importance of the world’s religions to one another. We live in a pluralist world, where interfaith dialogue does not just happen in scholarly forums, but in PTA meetings, daily greetings and business encounters. We are keepers of one another’s images, and of one another’s rights—what impacts one faith will impact all faiths, and we must work together to honor one another’s ability to follow God. Encountering God is an outstanding book. Eck brings together her scholarly expertise, her passion and her personal journey in a way that compels the reader to think differently about their interfaith relationships and personal faith practices. A perfect read for anyone interested in Hinduism and Christianity, or considering how to approach interfaith conversations. 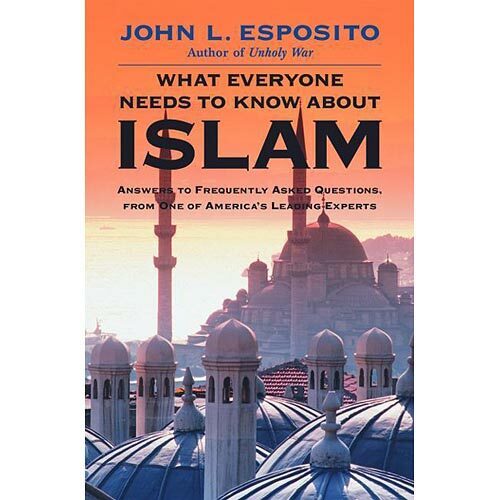 What Everyone Needs to Know about Islam: Answers to Frequently Asked Questions from One of America’s Leading Experts, by John L. Esposito, Oxford Press, 2002, 204 pp. Having just completed Karen Armstrong’s A History of God gave me a deeper understanding of the history of ideas in Islam, the various philosophical developments and spiritual practices as they evolved. Esposito’s book reinforced some of those learnings, and added a depth of understanding about contemporary Islam’s faith and practices. What Everyone Needs to Know about Islam is written in question and answer form, in short sections that range from a few paragraphs to a few pages. While the author suggests not reading the book cover-to-cover, I did it anyway, and it was just fine that way. The writing was interesting and accessible, and I was surprised how captivated I was with something that could have been dry and disconnected. While some information is repeated in various places, it still worked as a solid introductory work. Esposito covers questions in these major areas: Faith and Practice; Islam and Other Religions; Customs and Culture; Violence and Terrorism; Society, Politics and Economy; and Muslims in the West. Almost all basic questions are covered in the book, and the Q&A format makes it a handy reference volume. Esposito does a good job of handling basic information questions (What is a mosque? What is the difference between Sunni and Shii Muslims? What are the five pillars of Islam?) and anticipating questions that Westerners (especially Christians) might have (Do Muslims believe in angels? Does Islam have a clergy? Can Muslims marry non-Muslims?). I especially appreciated his approach to the section on Violence and Terrorism. Esposito’s style was frank and non-defensive. Many times, authors feel compelled to defend their subject (Islam) by either arguing that violence and fundamentalism are a small part of the Muslim community, or pointing out violent traditions in other religions. Esposito does acknowledge both of those things, but in a way that is truth-telling rather than defensive. He also does an excellent job explaining the lack of separation between Islam and the state, and the role of an Islamic state in theology and politics. He clarifies the desire for to create a community where worship and government and daily life are in harmony with Islam—a perspective not so different from Christian desires to be a “city on a hill” and create the Kingdom of God on earth. I would highly recommend this book as either a basic reference work on Islam or a readable, engaging introduction to Islam and Muslim life and culture. Tomorrow marks the two-year anniversary of this blog, and of my turn (return) toward writing as a spiritual practice. Last year, I reflected on why I write. This year, I am reflecting on the treasures created by the act of writing. This week I spent a lot of time rereading old posts as I searched for appropriate writing samples to submit for a new opportunity to expand my writing work. I was amazed to discover what a memory bank this site has become, in just two short years. There are stories of ministry, motherhood, personal growth and random humor that would have ceased to exist by now, if they were solely dependent on storage space in my brain cells. Other stories would have been remembered, but without the solid detail and vibrancy that the writing created. There are also real and wonderful memories of events sparked by the blog writing itself. That Evangelism Flash Mob that I wrote about last November? It really happened—at an outdoor venue in Tampa, and on the floor of General Synod. It resulted in new friendships and one of the most fun experiences I’ve ever had. I also browsed through the “drafts” section of my dashboard, and realized that some memories I had wanted to hold on to have already flown away. I made notes to myself about a story or event when it happened, but I never got around to writing the story more fully. Now the energy and vitality of the moment is gone. I wish I had devoted more time, or had more time to devote. All of this brings to mind one of my favorite songs from Sweet Honey in the Rock. To see the beauty of the world through my own eyes. Writing here teaches me to see the beauty of the world through my own eyes. It creates memories of joy and delight and the presence of God in the things of everyday life, ranging from interactions with my son to strange ministry happenings to moments of transcendence and illumination. It’s addictive, and I’m only wanting more. Here’s to “more” in year three—more time, more writing, more memories, more God.